Dr Dechao Wang is a highly experienced data analyst with particular expertise in computational modelling, which he has been applying in the HIV field for more than 15 years. Dr Wang gained his BSc in computational mathematics from the University of XI'an Jiao Tong and his MSc in Systems Engineering at the University of Xi Dian in China, where he went on to work in the fields of large scale discrete event modelling, artificial intelligence and optimisation algorithm design. He became Associate Professor in 1993. 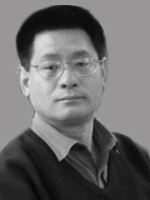 Dr Wang moved to the UK as a visiting scholar at the University of Cambridge in 1995 before moving on to gain his PhD in Computer Science from the University of Warwick, where he developed mathematical growth models of Brassica plants and investigated machine learning techniques for facilitating genomic analysis. In 1999 Dr Wang joined Dr Larder at Virco as a Senior Data Analyst, where he developed neural networks to predict HIV phenotype from the genotype. He joined the RDI as Head of Bioinformatics at its formation in 2002 and is responsible for all of the RDI's computational modelling and statistical analysis.